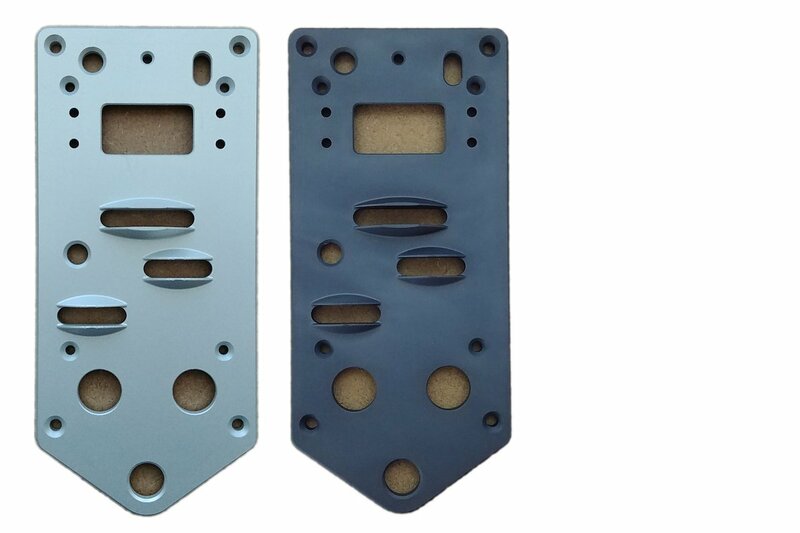 Just wanted to give a quick update on the ProtoThrottle… The face plates have been machined and anodized. They are currently awaiting one last machining step to engrave the lettering. 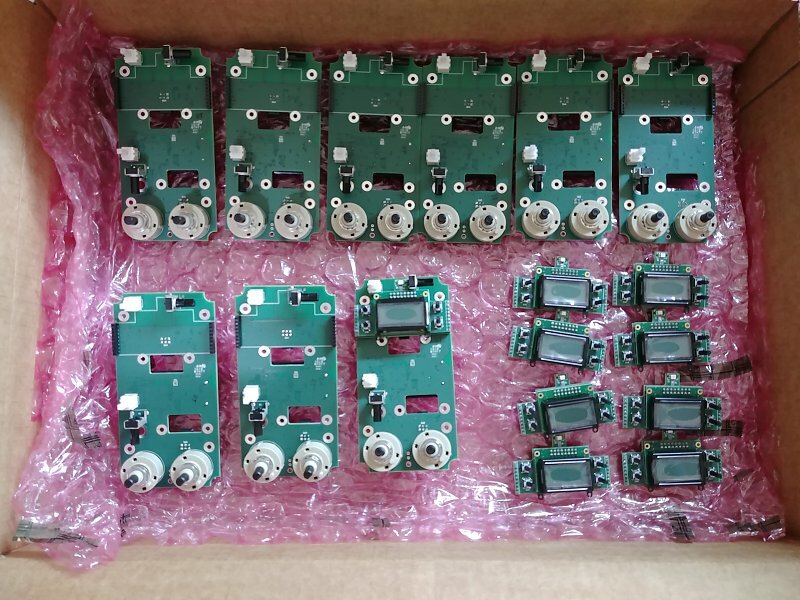 The assembled circuit boards have also started to arrive and all the other pieces to make the throttles are ordered and (mostly) in hand. We’re still aiming to start shipping around the end of June in the order that pre-orders were received. Congratulations on your progress on this very interesting product. 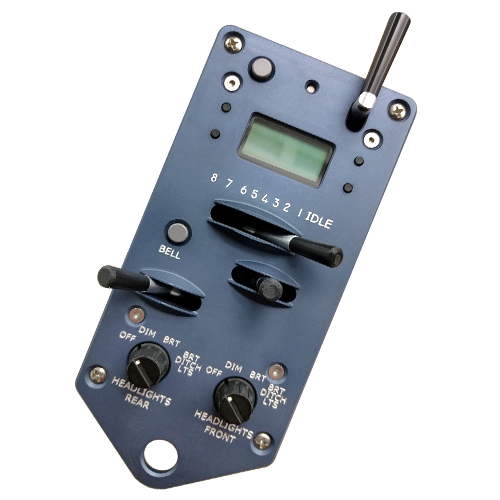 Can you have multiple separate configuration menus, one for each decoder family? Preferably automatically linked to a loco address. That will make switching to a new loco much easier. Will you supply decoder cheat sheets to guide us on menu entries for the three main sound manufacturers – TCS, TSU and Lok? You can store up to 20 distinct configurations in the ProtoThrottle. Each configuration saves things like locomotive address, function mappings, throttle notch settings, and various options. If that’s enough for your fleet, then you’re good. Otherwise, you could store a configuration for each unique setup (decoder brand, locomotive type, etc), recall that configuration, and then set the address manually. We don’t have any cheat sheets in the works at the moment, but that’s a good idea and will consider it. How to you select the locomotives you put into the throttle, or toggle between the locos. The SET LOCO menu allows you to select the locomotive address. You can change it here, or after configuring everything once, save it using the SAVE CNF menu, and then recall it again using the LOAD CNF menu. See the user manual for details.